Getting started in a new career can be terrifying. I got lucky. I transitioned into tech on the job, taking on techy responsibilities at my advertising sales position. But when I made the plunge from working with tech to writing about it for a living, I had a serious case of imposter syndrome. It was scary. But there’s a ton of stuff you can do to make the transition less intimidating. 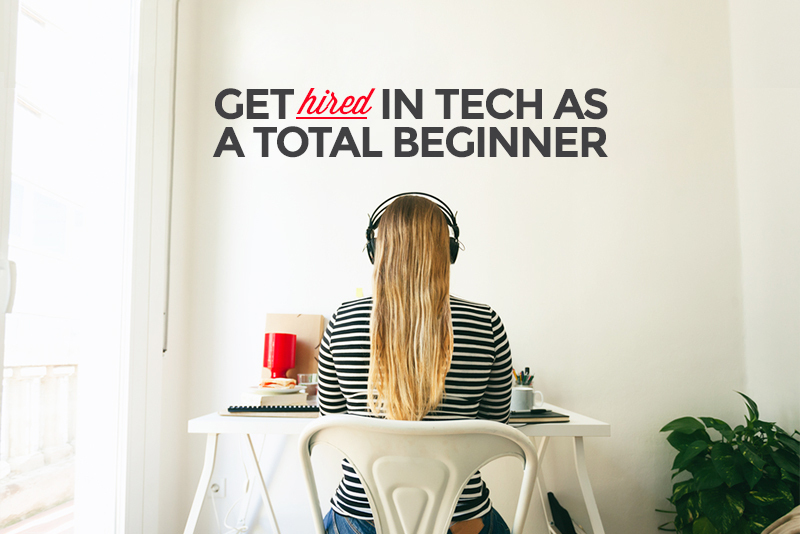 Knowing exactly what it takes to get hired in tech as a beginner is a great way to calm your nerves and get the confidence you need. And that’s exactly what I’m going to show you here! By the time you finish reading this article, you’ll have a roadmap to getting hired in tech this year. Check out our free 10-Day Coding Bootcamp to get an intro to tech right in your inbox. You’ll find out what it means to get into tech and even start writing your first lines of code. You’ll be surprised at how quickly you catch on! 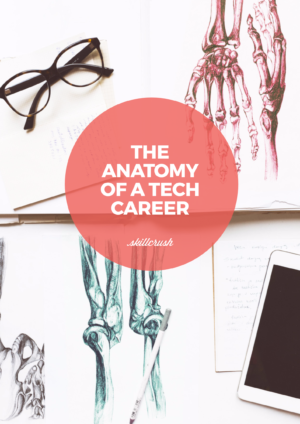 There are so many careers available in tech, to suit just about any personality or life goal. Love problem solving? Web development might be perfect for you. Are you super creative and love to make things look great? Check out web design! Do you love blogging? Then you might love content marketing. Or maybe even WordPress development! If you’re super social, inbound marketing (which includes social, email, and content, among other areas) might be a great fit! The point is, it doesn’t matter what you’re passionate about. 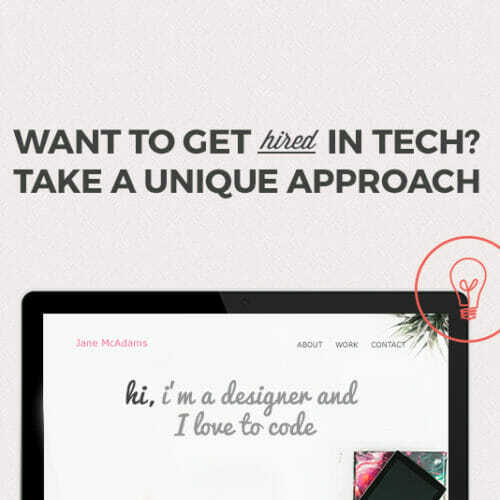 There are dozens of jobs in tech, and one is sure to be a perfect fit! And remember, you don’t have to decide where you want to specialize before you start learning. Just dive in with basic tech skills and get a feel for what you like! If you’re a designer, understanding how these things work and the limitations they may impose is enough for most entry-level jobs. But for developers, you’ll need to be very familiar with and comfortable coding all three. 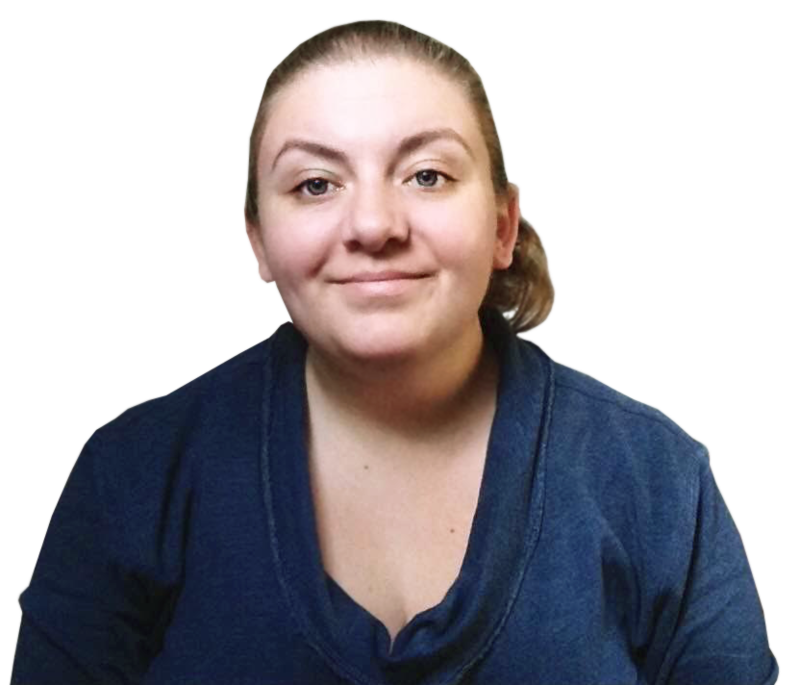 You can easily get started with them in either our Web Designer Blueprint or our Web Developer Blueprint. And there’s a lot more info about what it takes to land a junior developer job in our Beginner’s Guide to Landing a Junior Developer Job. There are a ton of things you can do to create a portfolio that’s awesome, even if you’re new to tech. Creating a portfolio that’s infused with your personality and your own personal brand is a fantastic way to stand out from everyone else applying to the same entry-level jobs. Your portfolio’s design is, in itself, part of your portfolio. If you’re feeling like you don’t have enough projects to show off your skills, you can totally add pretend projects (also called concepts) that show off what you can do! You can also Google yourself to see what comes up, if you’re searching for more things to include. It might give you ideas beyond the basics. And there’s always the old standby of doing some pro bono work for a local non-profit, a friend, or a family member. Other things to make sure you include in your portfolio are pretty basic: mainly who you are and what you do, as well as a way to get in touch to hire you. Don’t forget a clear call to action (like the obvious “Hire Me!”), and include some clear context to explain your projects, not just screenshots. 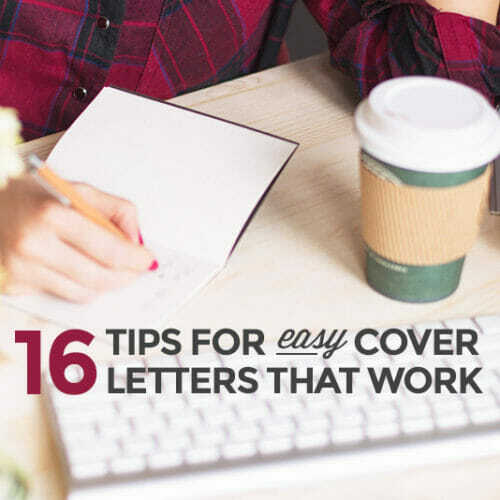 Before you can embark on your job hunt, you’ve got to have an amazing resume and cover letter. I know, I know. No one wants to spend their time creating these things. But they’re vital. And the good news is that they’re not that hard to create. You just need to know what to include, and what not to include in your resume and cover letter. Make sure that you have an updated profile on LinkedIn while you’re at it. Fill in your education and work experience, and don’t be afraid to ask current or former colleagues to recommend you for particular skills, or even write a testimonial for you. One last step is to make sure you go ahead and Google yourself to see what comes up. These days, employers will Google you, probably before they even call you for an interview, but almost certainly before they offer you a job. Make sure that anything that shows up in the first few pages is accurate and up-to-date. 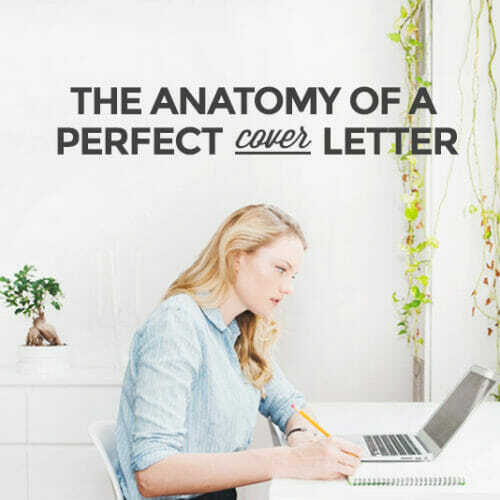 For all the insider tips and tricks for creating an amazing, tech-specific resume and cover letter, check out the Ultimate Guide to the Perfect Resume and the Ultimate Guide to the Perfect Email Cover Letter. You’ll get everything you need to know, plus templates you can use to get a spectacular resume and cover letter done quickly. Tech interviews can be a little bit different than your standard job interview. Particularly if you’re applying for a job that requires coding. Be prepared to answer questions related directly to your skills and experience in tech, as well as any skills you have from other jobs that could carry over (organizational skills, time management, meeting deadlines, etc.). Brush up on the things you should never say in a tech job interview and how to answer the trickier interview questions you might encounter in a tech interview that you won’t see elsewhere. Check out our Ultimate Guide Interviewing for a Junior Tech Job for detailed information on nailing your interviews. Realistically, you’re probably not going to go from zero to hired without at least a handful of freelance projects. You need something beyond a certificate saying you have some skills and show that you actually have those skills. Hiring managers want proof! This is where freelance projects come in! The great thing about them is that you don’t necessarily have to hit the pavement or cold call a bunch of businesses to get those projects. Maybe your best friend has an amazing band that could use a website (and even has a little money saved up to pay your for it). Or your uncle’s company website was built sometime pre-1998 and needs some serious updating. Or maybe you just feel like your favorite company’s website could totally be better. In any case, use personal connections to find some freelance projects. Sure, you might need to work for free or at a reduced rate, but the point here is to prove yourself so that you can land your dream job, not to launch a successful freelance business. If all else fails, you can always create some concept projects to round out your portfolio, as mentioned above. If you only have one or two freelance projects and can’t wait another minute to start applying to your dream jobs, concepts can give you the added “oomph” you need. Bonus: If you create a concept for a company and they get access to it, they might just come looking for you! Another great reason to share your projects on social. Not all tech companies are created equal. There are some amazingly awesome tech companies out there (like Skillcrush! ), and there are some awful ones (who shall remain nameless). But even among those that are wonderful, they’re not perfect for everyone. There are a few things to consider when you’re trying to find a company that’s a good fit. First, think about the kind of company culture that works best for you. Some people prefer to work at really large companies with tons of employees and amazing perks. Places like Google or Apple. Other people prefer startups where things are changing all the time and there’s a certain level of uncertainty. Think about which one you’d prefer and then go from there when looking for jobs. You should take some time to make a list of what you want in your first tech job and what you want in your overall career. You might want to get in on the ground floor at a startup early on, but end up in a high-level position at a more stable company (which could end up being the original startup, if it’s successful). You can’t look for the job you want until you know what you want. The other thing to think about in tech is whether you want a traditional, in-office job, or a remote or flexible job. Traditional jobs usually have set working hours, in an office. Remote jobs are mostly or entirely done from outside of a central office. Some companies are completely remote, while others have a mix of remote and in-office employees. Remote jobs sometimes have set “office” hours, while others are flexible. Flexible jobs aren’t just remote, though. Some in-office jobs are flexible, and let you work the hours that fit your life. There are often “core” hours where things like meetings happen and you’re expected to be there, while otherwise you can work when you choose. Not everyone is a natural social butterfly. But networking, either online or in person, is a great way to find a new job. Meeting people in tech can open all sorts of doors. Especially when you’re just starting out and you don’t have any contacts in the tech industry. Tell someone that you’re starting out coding or designing every chance you get. Even people who aren’t in tech might know someone who is (or know of a techy opening in a non-tech company). Check out our Ultimate Guide to Networking in Tech for tons of great info on how to network, even if you aren’t naturally an extrovert. You know what kind of job you want. You know the kind of company you want to work for. And you’ve been sending out tons of resumes and applying to tons of jobs with no luck. Here’s a hard truth when you’re starting out: sometimes you have to take a “stepping stone” job to get your foot in the door. There are two ways to do this. Your first option is to take a job that’s not what you want at a company you love, with the intention of moving to a different position at the company when one becomes available. This can be a great way to get hired in tech and get started with a company you love, even if the exact job isn’t a perfect fit. The advantage here is that in some companies, promoting from within is a high priority. The disadvantage is that if you really excel at the “starter position”, they might be reluctant to move you. Your other option is to find the exact position you want, but at a company that’s less of a good fit. This can be a great way to build up the experience you need to get your true dream job, but it can also be stressful if you’re at a company that’s a really bad fit for you. The advantage here is that you’ll be doing the exact job you want to do. The downside is that you’ll eventually have to start the whole job search process all over again. It’s a good idea to set a time limit for finding your “perfect job” (assuming you have that luxury and don’t need a new job right now). If you haven’t found that perfect job in 3-6 months, it might be time to expand your search and start considering things that are a good starting point and will help you get your dream job in 6-12 months. If you’re wondering where to start learning tech skills so you can find your dream job, our FREE 10-day Coding Bootcamp is a perfect place to begin!